Posted in DC Universe, DC Universe VS. Masters of the Universe, He-Man and the Masters of the Universe, justice league, Justice League Dark, Poe Ghostal, Skeletor. 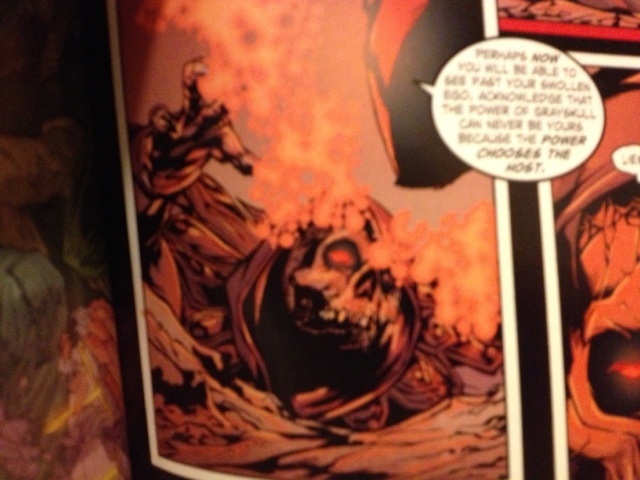 DC Comics Trinity War….This is why I keep reading comics! Here is my collection of the first three stories in the arc. I have been following the DC New 52 since the beginning. Now it is paying off! This story arc has pulled references from so many places in the New 52 universe…And seriously starting back at the beginning with Darkseid. And Justice League #23, the final book in this arc, ties so many things together, and then the heroes lose….and you are left on a cliffhanger that makes you want more. 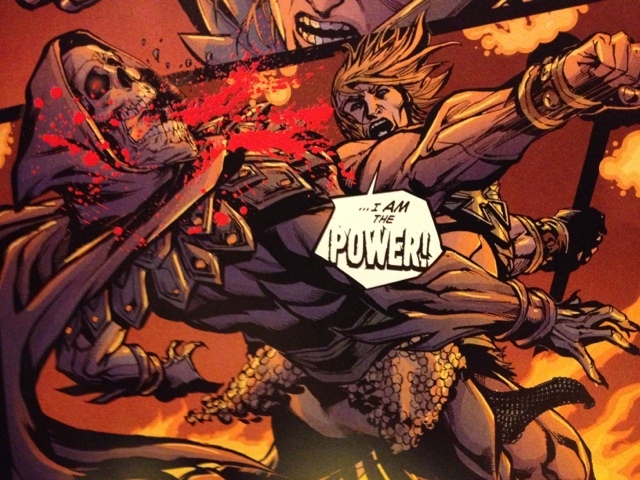 When I turned that page and saw the long-haired version of Aquaman with the hook, I about fell out of my chair. And then…. Earth 3! And Alfred! What about Cyborg? 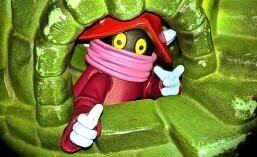 The Atom was the mole? And the disease? And the real murderer…what happened there. Of course there will be a little break in the action. We are at September. This year we get Villains month. (Can’t wait!) Then after the break in the action, this story will return in Forever Evil, which is going to prominently feature Nightwing, apparently. And I will have to read Forever Evil…I know I am going to pick up a few villains comics that I am not subscribed to….AND THEROS comes out this month…. Something has to go…And I think it is Thor. I read all of the Godbutcher and Godbomb stories, plus #12 this week. I am well pleased. And feel I can part with him for awhile. I also have the Tangled Web pulling Batman\Superman for me…I might have to have them stop that. And make room to get the Forever Evil books. Maybe I should stop….Is this madness? Maybe I should wait and buy the graphic novel of Forever Evil….It’ll probably be out around February or March…Probably cost $20-$25. And be an enjoyable read even. One thing I know…I had thought about subscribing to Justice League America….but it was announced that after Forever Evil, it was going to become Justice League Canada. I am not on board with that! JLA has been good….Good enough to subscribe to. Posted in aquaman, cheapskate, Cyborg, Darkseid, Earth 3, Forever Evil, Godbomb, Godbutcher, justice league, Justice League America, Justice League Vs. Masters of the Universe, Thor, Trinity War, Villains Month. 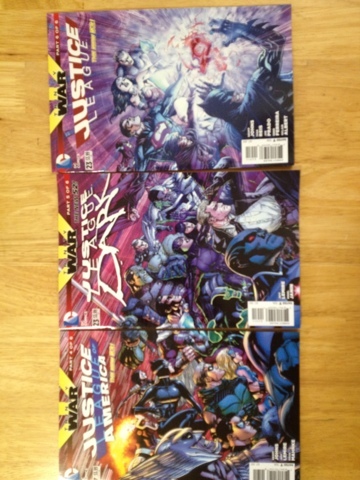 Posted in Comics, justice league, Justice League America, Justice League Dark, New 52, Pandora, review. About a year ago, I was getting ill at “The Justice League” title. Every book had a backup story about Shazam. Someone who I never gave a sniff to. And the more they printed, the less I appreciated it. All the while I was reading AquaMan, and enjoying it quite a bit. So when it came time to renew, what did I do? Subscribe to AquaMan. AquaMan has been a read that I knew little about before I jumped on the New 52 wagon, but I knew enough about him to get me going from the old “SuperFriends” cartoon. I had seen a few images of the more wizened version, who was King of Atlantis, and looked the part, with a hook hand and all. The new AquaMan grabbed me as a throwback to the past, with strong character emphasis. And character is one of the reasons I read comics. And character is one of the reasons why I hate Shazam. There has also been a great side-story about “The Others,” AquaMan’s other team. These guys are cool. Maybe they’ll become their own series. I have stuck with Aquaman through the “Trench,” “Black Manta,” and “Throne of Atlantis” storylines. The Trench grabbed me. Black Manta intrigued me. He’s a great villain. And “Throne of Atlantis” was gripping, but it ended a little flat. And that flatness has followed into the next storyline about the zombie dead king, for about five issues. If things don’t improve, I will likely find something else to subscribe to. YOU HEARD ME DC! Posted in aquaman, Comics, justice league, shazam.